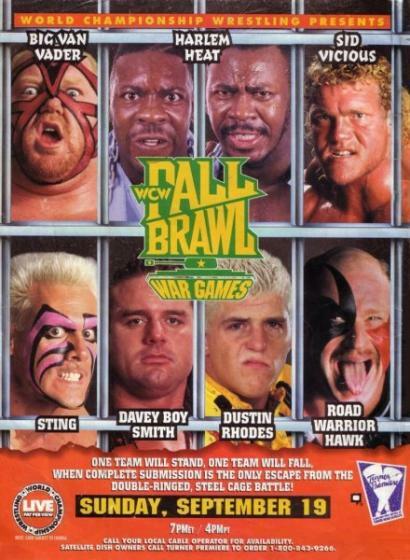 WCW Fall Brawl 1993. . Wallpaper and background images in the World Championship Wrestling club tagged: photo. This World Championship Wrestling photo contains anime, komik, manga, and kartun. There might also be slot, salah satu bandit yang bersenjata, satu bandit bersenjata, jendela kaca patri, mesin slot, mesin koin, and slot mesin.